The Iowa Hawkeyes Disney Metal Magnet will look great on your refrigerator or kids will love it on the inside of their lockers. 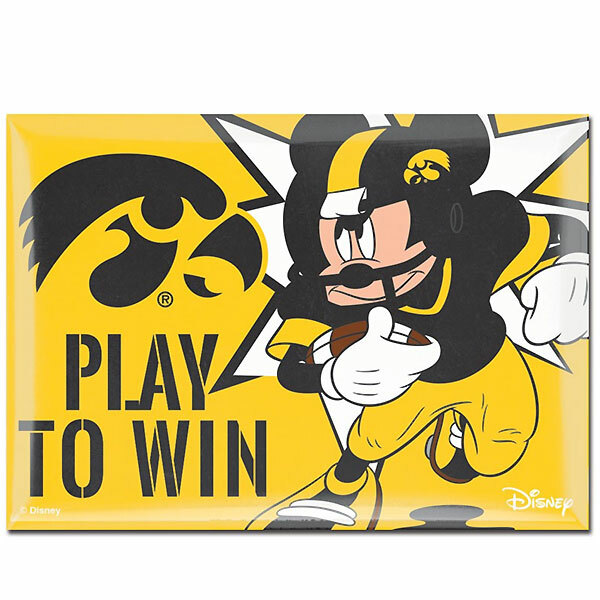 This metal magnet displays Mickey Mouse dressed as an Iowa Hawkeye football player and Play To Win. Made by Wincraft.